Whole spices are spices in natural form. 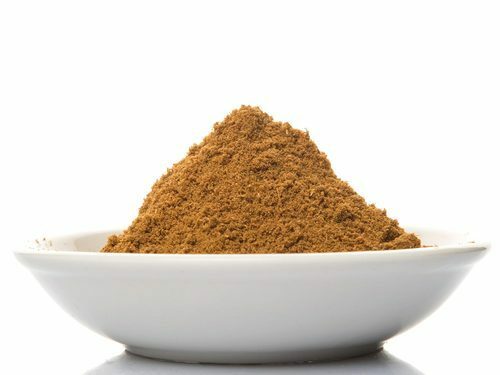 Some of the major spices which are in good demand in whole form are Turmreric, Chilly, and Coriander etc. 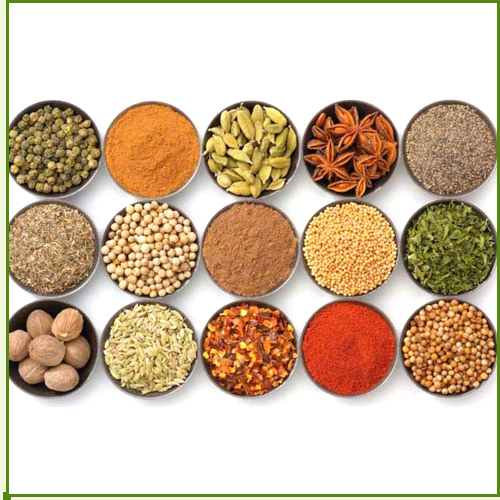 The whole spices which we supply are cleaned and graded manually or using latest machineries depending upon the product and the quality required by the buyer. They are further packed in clean and strong export worthy bags. Our range encompasses Whole Chilly, Turmeric Finger/Turmeric Whole, Coriander Seeds, Cumin Seeds, Fennel Seed, Fenugreek Seeds .Black Pepper Whole ,Dried Ginger etc. Guntur Sanam S4 type is the most famous type among the chillies and has a huge demand through out the world. It widely grows in Guntur,Warangal, and Khammam districts of Andhra Pradesh. The skin of crushed chili is thick,red & hot & has its peak harvesting season from December to May.The annual Production of this type is approximately 2,80,000 tonnes. It has an ASTA Colur value of 32.11 and Capsaicin Value of 0.226%. Some of the other varities of crushed red chili are, Byadgi, Nalchetti (Semi Bird Eye), Kashmiri (Annigira), S9 Mundu (Round), Wander Hot, Tomato Chilli, Madras Pari & Tejapuri (Bird Eye). Producing Centers : Andhra Pradesh, Tamil Nadu,Maharashtra, Karnataka, Rajasthan & Assam. Standard Packing :- 25 Kgs/40 Kgs. In New Single Gunny Bags. ASTA Colour Value : 32.11 Capsaicin: 0.226% Capsaicin Values of some of the well-known & accepted varieties are. 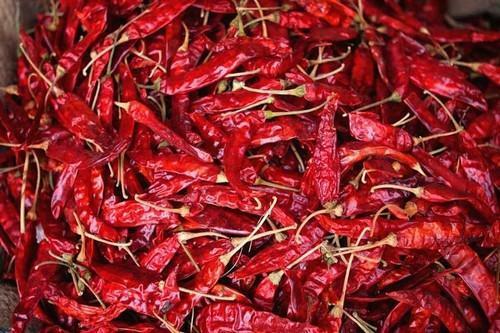 Indian Chilies are the most famous in the world and have huge demand in the overseas market. India continues to be the main producer and exporter of most varieties of Chilli to countries like Sri Lanka, Bangladesh, Middle East, South Korea, China, Taiwan, Malaysia, Indonesia, Singapore, Turkey, U.K., USA Latin America. Chilies have two peculiar characteristics in it, first is their color which is due to the presence of a pigment called Capsanthin in it and the second is its biting pungency which is due to presence Capsaicin in it. Chilies form an important part of curries and various popular dishes. Some of the major types of Chilies available in India are S- 334 (also widely known as S-4) ,Wander Hot, Teja, Semi Bird Eye( Nalchetti) ,Bird Eye( Tejapuri), Wrinkled, Tomato, Byadgi , Kashmiri ,S-9 Mundu etc .Some of the major chilly producing centers in India are Andhra Pradesh, Tamil Nadu, Maharashtra, Karnataka, Rajasthan Assam. In terms of quantity amongst all the qualities grown in India the production of S-4 Chilly (the quality displayed in photo) is the highest. Due to its bulk production and availability through out the year this quality is very popular and is in big demand through out the world. S-4 Quality is widely grows in Guntur, Warangal, and Khammam districts of Andhra Pradesh. Their skin is thick, red hot has its peak harvesting season from December to May. Standard Packing :- 25 Kgs / 15 Kgs /10 Kgs Nett In New Singe Jute Bags. 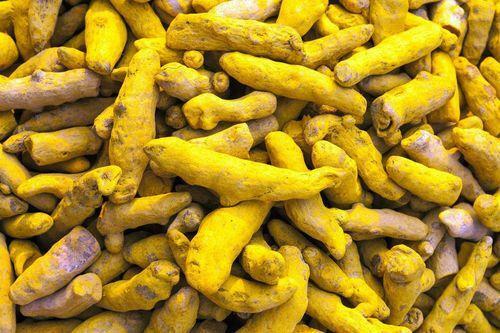 There are many different varieties of Turmeric available in India depending upon the part of India where they are grown. Out of the various varieties grown in India 5 varieties that is Nizambad, Madras (Cuddapa), Rajapuri, Erode & Allepy are the most popular and in good demand through out the world. Standard Packing :- 50 Kgs /25 Kgs Nett In New Singe Jute Bags.. Quantity Stuffed in FCL :- 20 FCL-18 M.Tons. Coriander a word derived from a Greek word is one of the important spices in our day-to-day life. 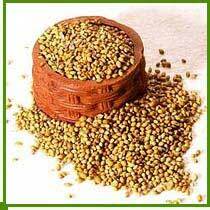 Coriander Seeds are globular and almost round in shape with greenish brown in color and a strong aroma. They form an essential part of the Curry powder & various spices blends in India. Coriander has many medicinal values & it promotes natural healing. Coriander Leaves also are popular for garnishing of variety of Indian dishes. Some of the major producing states of Coriander in India are Gujarat, Rajasthan & Madhya Pradesh. The peak harvesting season for Coriander Seeds is January to March. Standard Packing :- 50 Kg In New Singe Jute Bags. 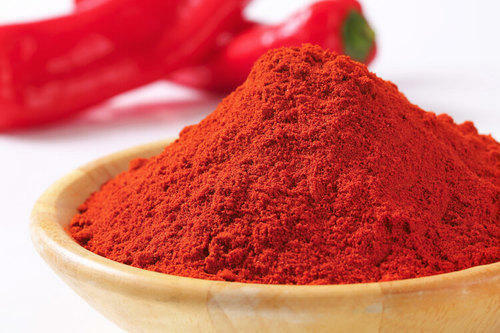 Indian Spices are the most famous in the world and have huge demand in the overseas market. India continues to be the main producer and exporter of most varieties of Chilli to countries like Sri Lanka, Bangladesh, Middle East, South Korea, China, Taiwan, Malaysia, Indonesia, Singapore, Turkey, U.K., USA Latin America. 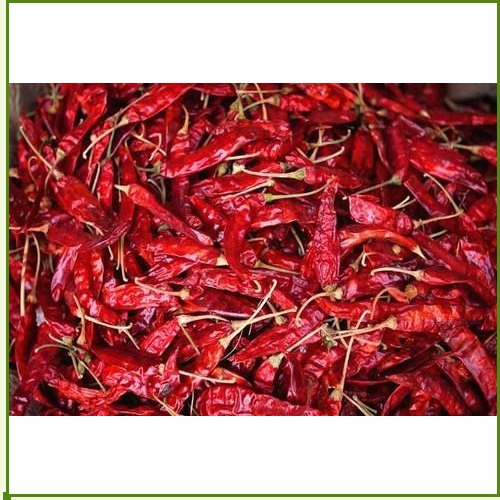 Chilies have two peculiar characteristics in it, first is their color which is due to the presence of a pigment called Capsanthin in it and the second is its biting pungency which is due to presence Capsaicin in it. Chilies form an important part of curries and various popular dishes. 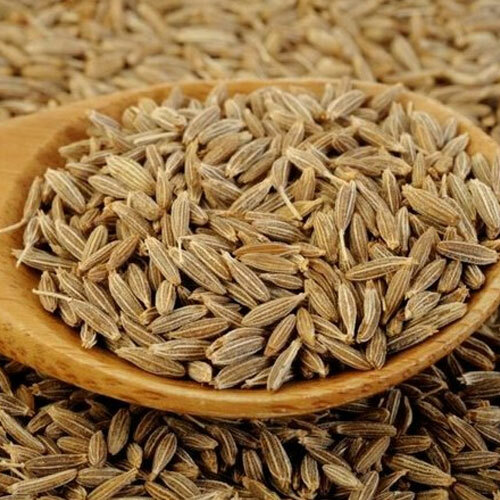 Cumin, which was also called as Sugandhan i.e. good smell in ancient times has its popularity spread from Latin America to Africa and all over Asia. 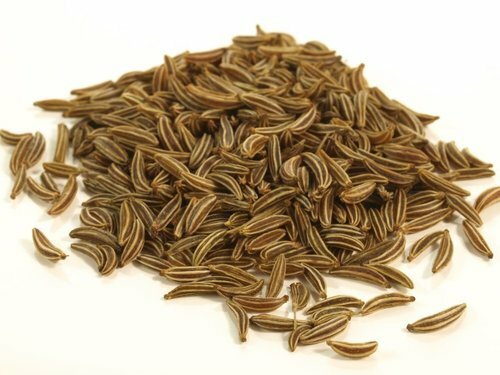 The Cumin seed are uniformly elliptical and deeply furrowed. Thy have a very distinctive bitter yet warm flavor yet aromatic smell. 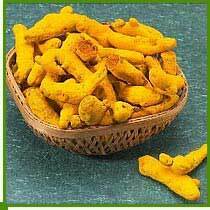 It is one of the widely used spices in our day-to-day life. Cumin along with coriander forms a major ingredient of curry powder and other spice blends. They have its applications worldwide in sectors other than food like beverages, liquors, medicines, toiletries and perfumery. Indian Cumin has a good demand in international market and it is exported in both seed form as well as powder form. .